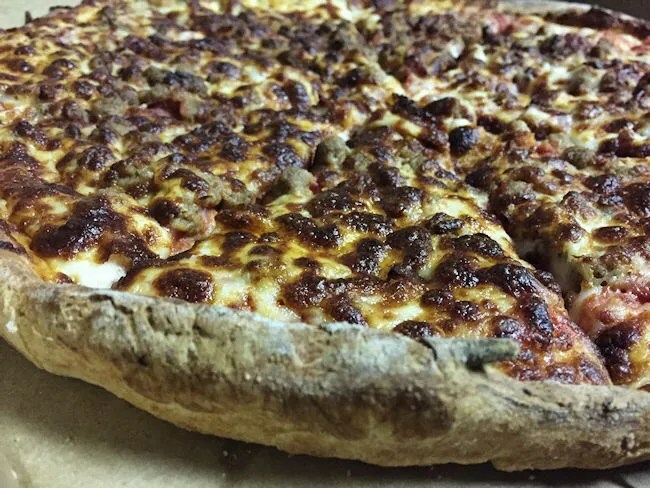 Whenever I’m in unfamiliar territory, pizza becomes my go-to. Almost every small town anywhere in the country has a pizza shop. It may not be the best pizza ever, but it’s what the locals are eating and that’s the way I like to travel. Work brought me to Cedar Springs one day last week and I’m pretty sure I skipped lunch. My tummy was growling when dinner time rolled around and as soon as I completed my task in the Northern Kent Count community, I pulled up Google to find a place to eat. 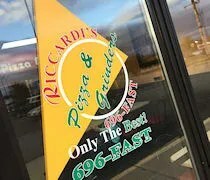 I decided on Riccardi’s Pizza & Grinders is just off US-131 on 17 Mile Road in Cedar Springs. 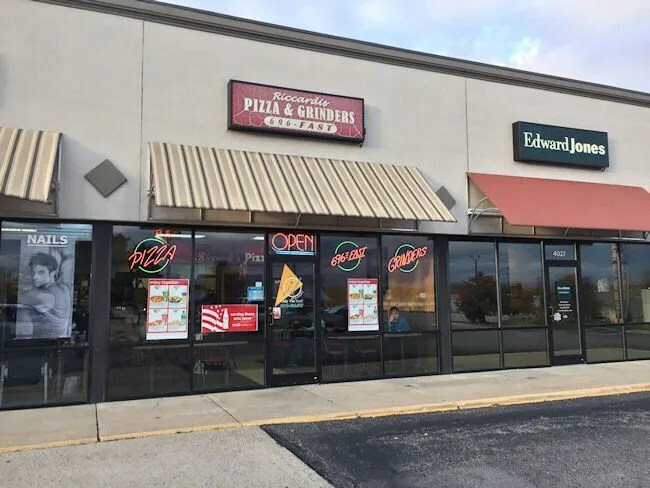 The small pizza shop is part of the Tractor Supply building on the north side of 17 Mile. I was considering the grinder part of the menu, but pizza almost always wins out. 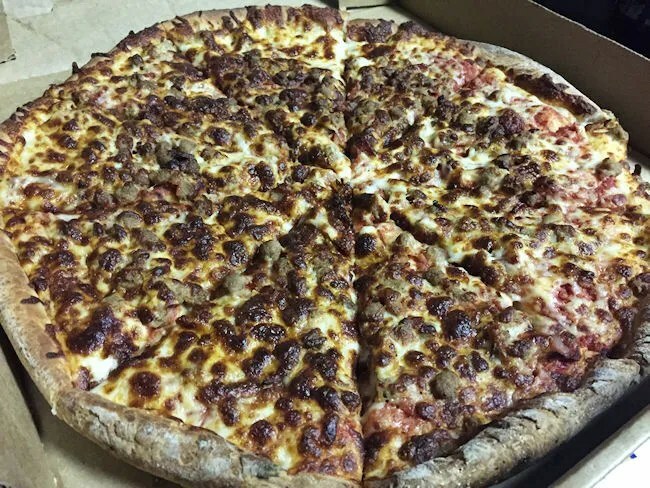 You never know where you’re going to find great pizza, so I put in my order for a 14″ pizza with ground beef and bacon. The guy taking my order said it would be about 25-30 minutes. I needed gas and to pick up a couple of things at Speedway, so by the time I got to the shop, I only had to wait about another five minutes. Riccardi’s isn’t a very big shop. As with most pizza places, a majority of their business seems to be carry-out. There’s maybe a half dozen tables and the people sitting at those tables were waiting for carry-out orders as well. The cash register is at a small counter looking in to the kitchen. I gave the guy working my name and he said the pizza was just about to come out. He waited until it was done to charge me the $13. The credit card slip didn’t have a space for a tip, so I grabbed a couple of singles I happened to have in my pocket and threw it in their tip jar. I grabbed the pizza and headed back to work in Grand Rapids. I didn’t even pop the top of the box on my way, but I could smell it on the seat next to me and I was tempted to attempt to try eating a slice on the way….but that always ends bad. I was pleasantly surprised when I got the pizza back to the office and popped it open. The top layer of cheese had a delicious golden brown layer to it. I like pizzas that are cooked well done and this one did a great job of getting that cheese nice and bubbly. The meats were all kind of hidden in the cheese and while I could pick out the flavor of the beef, the bacon got a little lost. The pieces were pretty small so there wasn’t really a big bite through a piece that gave you a really salty kick. 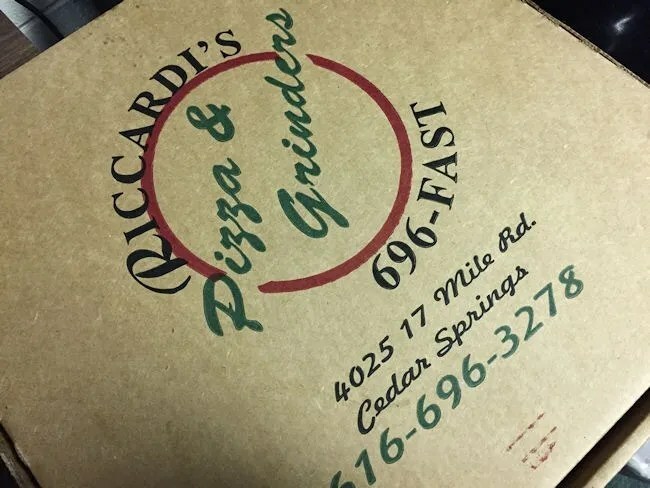 The pizza from Riccardi’s Pizza & Grinders is perfect small town pizza. 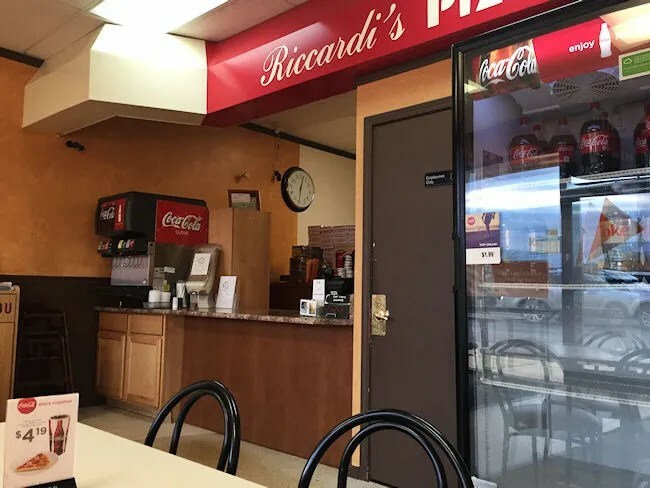 It’s not the kind of pizza that outsiders are going to keep coming back for, but as a hometown pizzeria, it is the kind of place you’ll miss when you move away.